Successfully Added 360 Degree Fisheye Security Camera - 1/3 Inch COMS, IR Cut, Motion Detection, Night Vision, AHD/ DVR to your Shopping Cart. 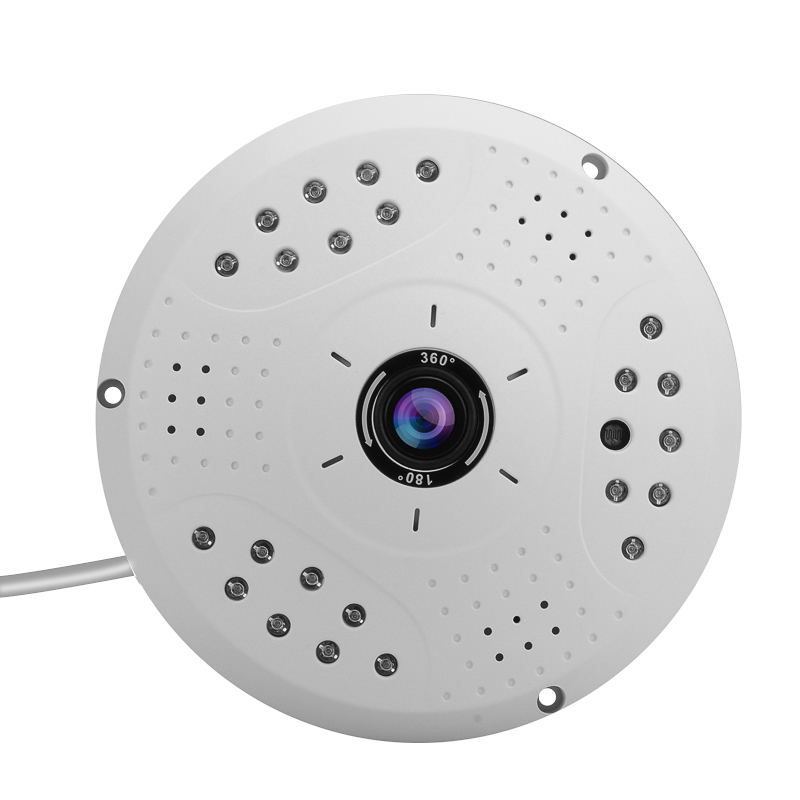 No matter your indoor space this fish eye camera with its wide angle lens will provide a 360 degree view ensuring that no blind spots exist in your security plan. It’s easy to mount on the ceiling (360 degree viewing angle) or wall (180 degree viewing angle) and will provide a clear view of all that occurs. It's a fantastic security addition to any large space be it warehouse, parking garage or office space as its elevated position provides a better vantage point that wall mounted cameras that typically have restricted fields of view. It can be used as part of a wider security setup by simple connecting it to your DVR or AHD system. The Panoramic Fisheye Camera comes with 12 months warranty, brought to you by the leader in electronic devices as well as wholesale security cameras..
Electronic Shutter: 1/25 to 1/10000 Sec.